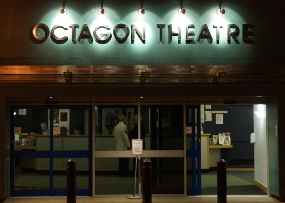 YAOS produces two musical shows each year at the Octagon Theatre in the centre of Yeovil. YAOS is fortunate to have so many talented performers, as well as a team of dedicated back-stage members. We continue our tradition of engaging a professional orchestra, sound and lighting crew for most shows, so that our audiences can still enjoy the best possible live theatre experience at an affordable price. YAOS is a registered Trade Mark and the Working Name of Yeovil Amateur Operatic Society, Charity Registration Number 272621. YAOS Productions Ltd is a wholly-owned trading subsidiary of Yeovil Amateur Operatic Society. YAOS Productions is a business name of YAOS Productions Ltd.